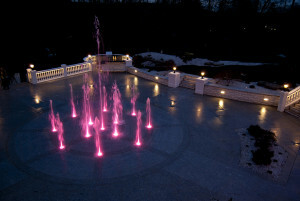 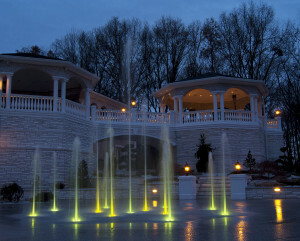 11,400 square feet of granite terraces, walkways and gazebos that adjoin seven acres of lush woods and hiking trails. These terraces were designed for entertaining and family fun. While the adults gather at one of the three combination bar, kitchen and eating areas the kids can enjoy the thirteen jet, heated and filtered fountain splash pad. 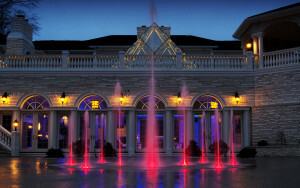 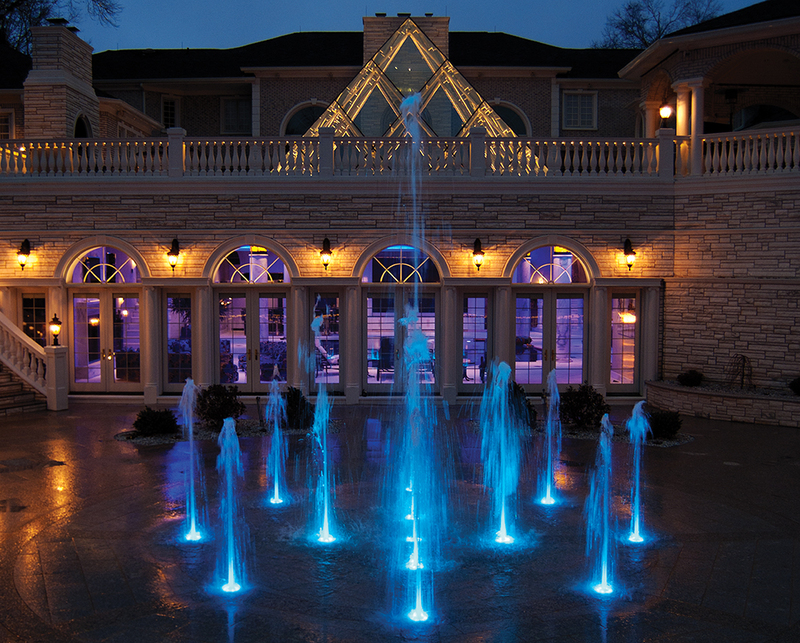 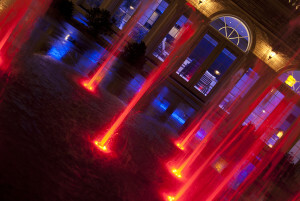 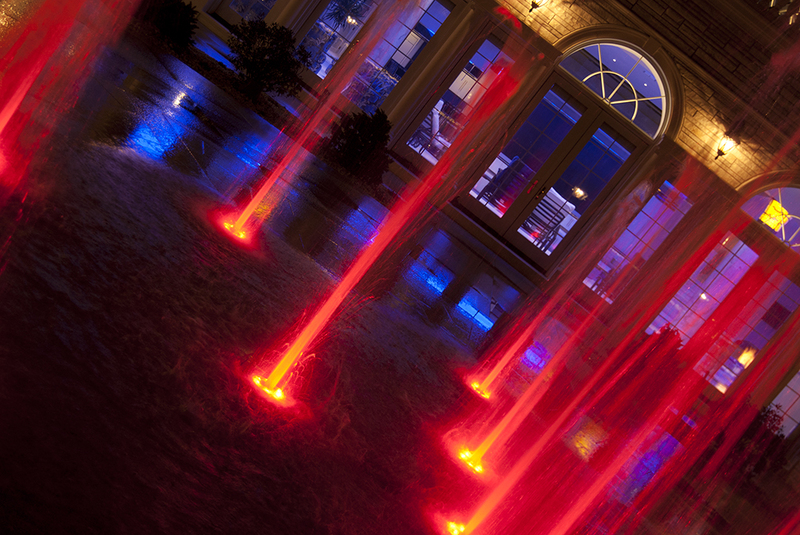 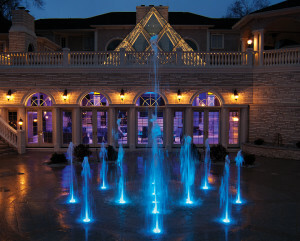 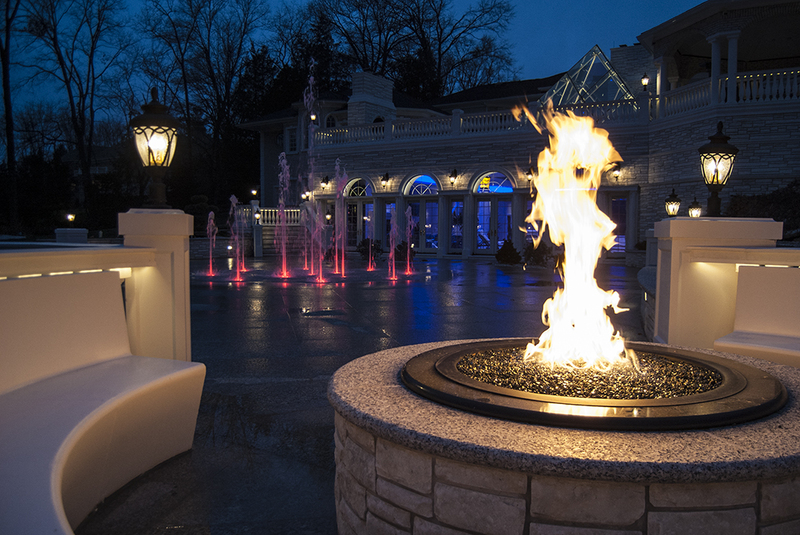 At night the entire outdoor space is bathed in warm colors of indirect lighting, a spectacular dancing fountain light show and the glow of fire pit flames.